In the next eight minutes, you will be reading about the all-in-one GO – JEK app and the on-demand app market. Next, we will talk about a new concept called super apps and finally, we will share with you the process of GO – JEK like app development. Let us start by looking at what the GO – JEK app is about. Launched in 2010 by Nadiem Makarim, the founder of Indonesia’s first unicorn startup – valued at $1 billion or more, GO – JEK app offers a one-stop shop for all the modern day users needs from transportation and logistics to food delivery and payments. By offering a range of different services under one roof, GO – JEK app has grown out to become one of the most user and investor-friendly app. Read how Uber’s Indonesian competitor GO – JEK is in talks to raise $1.5 Billion with Tencent. The app is all set to revolutionize the on-demand economy, which according to statistics is already on an uprising trend. 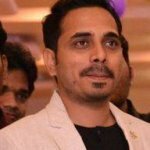 Before we get into the whole change in the on-demand ecosystem that GO – JEK app has brought, let us look at the present state of the market sans the all-in-one app. With every passing day, the On Demand market is crossing its current standing of more than 22.4 million annual consumers and over $57.6 billion that is spent yearly on their services. After Online Marketplaces, Transportation comes in next with its 7.3 million monthly consumers and $5.6 billion estimated in name of yearly spendings, followed by the grocery/ food delivery apps with at 5.5 million consumers using the services in a month and spending over $4.6 billion yearly. Other on-demand facilities such as home services, freelancer services, and beauty and health services measure up to $8.1 billion in expenditure every year, with every other On Demand service being computed at $3.8 billion valuations. These on-demand app statistics are a proof of how big the on-demand market is. However, while on one side the convenience that the app category offers, is keeping its demand at an all-time high, on the other hand, the sector is facing a very grim issue. The set of notoriously impatient mobile app users that the app industry is known to be made of are now demanding something new from the industry. Something that the on-demand app development industry has not been able to deliver. Or has it? Just when we thought that the On-Demand apps have reached their potential in terms of newness, the Super Apps wave came crashing in. The concept that has been popularized by the leading on-demand app GO – JEK we just read about. 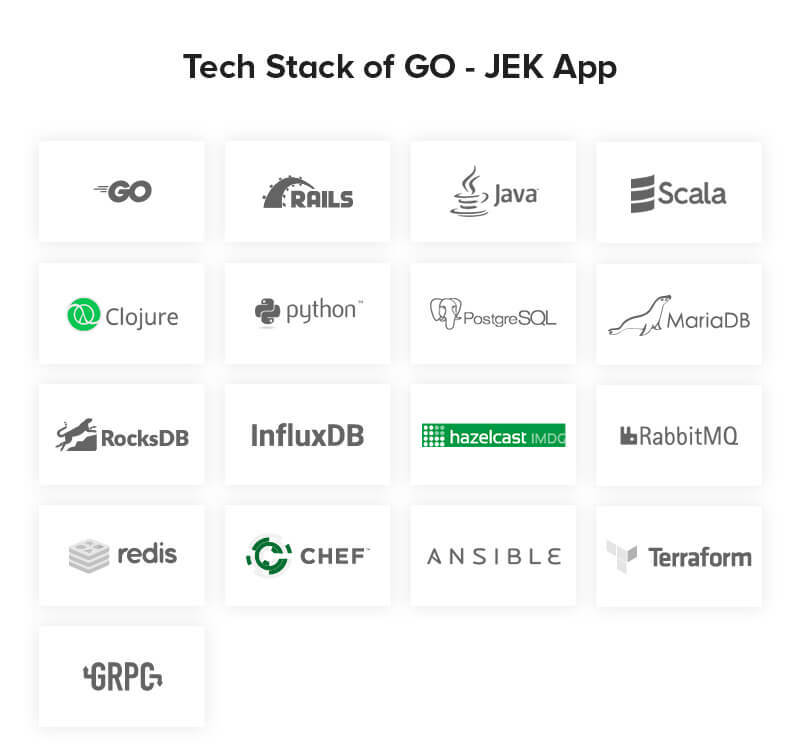 In order to understand How to Develop an app like GO – JEK, it is very important to understand what Super Apps are. Let us look into the concept. The trend of Super Apps was started by WeChat and is now, a number of other brands are getting the space of offering a plethora of different features on the one single platform – their mobile app. Although the acceptance rate of this all-in-one app type is still pretty low, the impact of these on the business is something that is not going unseen by the brands across the globe. A find that is giving a steady rise to the demand for super app development. While WeChat, with its variety of services – real chat messaging, cab booking, and payment services – have emerged as the spotlight example of the Super App type, Facebook Messenger, Google, and now GO – JEK have also been trying to establish themselves in the all-in-one app category. Now how does On-Demand Fits in the Super App Ecosystem? When it comes to on-demand apps, one fact remains – the apps that have been functioning under the on-demand app category have reached the edge of a bubble where no further enhancement is left to make in their business model. Which is also the culprit behind the lack of possibility of a single app to emerge as the leader of any category. But when you introduce a concept like Super App in a concentrated one service app category, the whole picture changes. When you develop an all-in-one super app, you give your users all that they need, without having to leave your app. Take, for example, Uber. If Uber adds movie tickets booking feature in its service where users would get the movie tickets and a cab at their doorstep, what would it mean for the standalone movie ticket booking apps? This is just one example. The possibilities of app features that an on-demand business can add in its model, is vast. 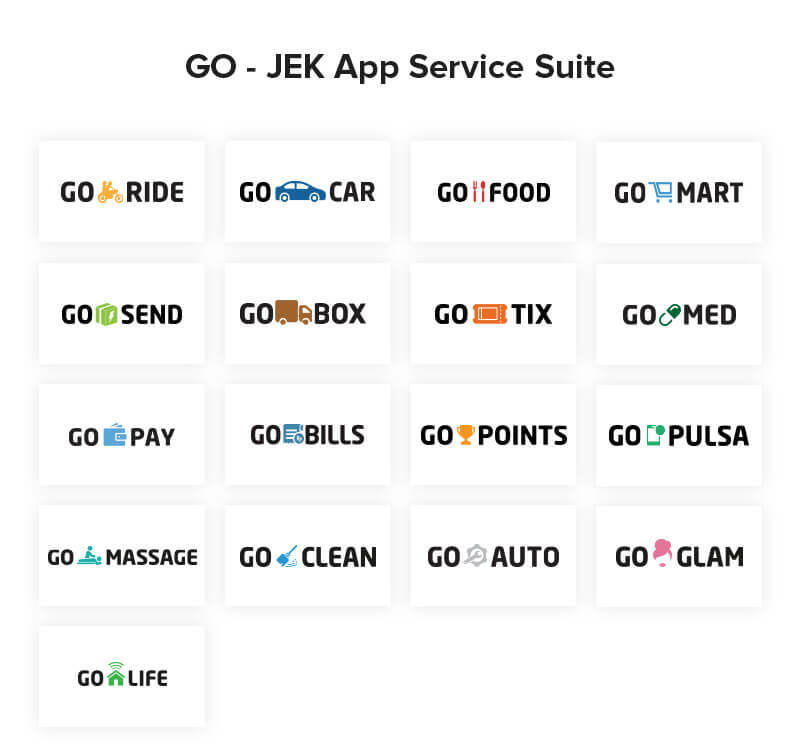 And, GO – JEK is the one on-demand category app that realized this opportunity and went on to develop a Super App with 18 in-app services, which helped it in becoming a Unicorn Startup in the fastest possible time. Using this feature, GO-JEK gives Indonesia the freedom to travel from Point A to Point B on Ojek – Indonesian scooters – with the help of over 1 million drivers. Apart from Ojek, GO-JEK is also giving the users the option to book cars to commute within the 50 cities where the service is available. On-Demand food delivery is made possible using this feature. For offering this service, GO-FOOD has partnered with over 75,000 restaurants. The app allows users to shop groceries on demand. All they have to select the store they want to purchase the product from and then select the product and make order through app. The app also offers courier services, using which the users can send documents and parcels over to someone in one area within your city. The app makes shifting and sending heavy weight parcel from one point to another a breeze. Depending on the weight of goods that you have to send, you can select from one of their vehicle category out of box car, pickup truck, and ankle truck. Using this service, you can explore and buy tickets for events happening around you. You can even register your own event in the app using this service. The app connects you to over 1,000 pharmacies across Bandung, Jabodetabek, and Surabaya. All you have to do is order the medicines and they will get delivered at your doorstep. Using this service, you can book an on-demand massage service at your doorstep. Use this service to book-on-demand home cleaning services for yourself. Through this service, GO-JEK offers servicing and maintenance for your vehicle with the click of a button. GO-JEK users can order on-demand grooming service using this service. Another thing that separates GO-JEK from the other apps, beside the fact that they offer a plethora of different services is that they haven’t restricted themselves to the on-demand category only. The brand is also moving into the payment service category. This service is a digital wallet where the users can store money, which they can then transfer to their bank account or to other Go-Pay users. The app gives users the provision to pay their bills on time from inside the app itself. For every transaction that you make using GO-PAY, you get tokens that you can then play and get points. These points can then be transacted to buy vouchers. The app also allows you to recharge mobile phones for call time and network data. Now that you have looked at the different services that are covered under the GO-JEK app, let us look into the development of GO-JEK app in detail. As far as the on-demand based services of GO-JEK app goes, the process of development would remain same as the development process that is used by other on-demand apps. We have detailed the exact process of development of an on-demand app that relies on navigation system in a blog where we talked about Uber like app development. Along with the GPS facility, an on-demand app would also have a number of features included in it like the in-app payment, real-time tracking, chat support, real-time sync, rate and review support, and notifications, among many others. To know how to develop payment services like the GO – JEK app, head on to our another article detailing the exact process – How to Develop a P2P Payment App. The most important element of your GO – JEK app, which you want to take the unicorn startup path that GO-JEK took, would be its UI. All the services that you are offering from within the app should be listed together on one – page. While designing the app UI, you will have to realize that users who have chosen to use your GO – JEK clone app did that because they didn’t want to move from one screen to another. To ensure that your partnered mobile app development team understands the psyche of your users. Talking of the mobile app team, make sure that you invest a lot of time in the screening process. Because noting the number of features that your app will need to have, you will be needing a team who is extremely technically sound. As only then they will be able to develop an interconnected ecosystem of apps minus any bugs instances. What Next? Have a GO – JEK like app idea to discuss? Talk to the expert on-demand app development company.